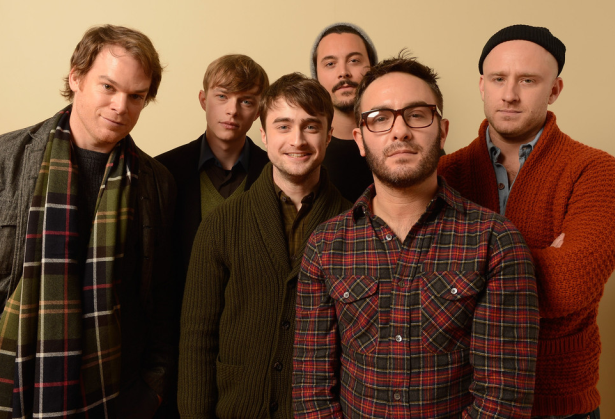 The Hollywood Reporter, reports: The Works U.K. Distribution has snapped up British rights to John Krokidas’ Kill Your Darlings, starring Daniel Radcliffe as Allan Ginsberg. Dane DeHaan (The Place Beyond the Pines), Ben Foster (Ain’t Them Bodies Saints), Michael C. Hall (TV's Dexter), Elizabeth Olsen (Martha Marcy May Marlene) and Jack Huston (Wilde Salome) also star in the movie based on the true story of a murder in 1944 that drew beat generation writers Ginsberg (Radcliffe), Lucien Carr (DeHaan), Jack Kerouac (Huston) and William Burroughs (Foster). The Benaroya Pictures and Killer Films picture premiered in Sundance. Sony Pictures Classics has acquired US rights. The Works will release the film in the fall.